Mousa Dembele reportedly had one main reason for deciding to swap life in north London for a move to the Chinese Super League. The 31-year-old, who would have been out of contract this summer, has signed a three-year deal to join Guangzhou Evergrande for a fee believed to be £11million. The Belgian joined Spurs for £15m from Fulham in 2012, going on to make 250 appearances and becoming a real fan favourite during his time at the club. However, recent seasons have seen him struggle with countless injuries and an ankle knock this term meant that his last appearance for Mauricio Pochettino’s men came on November 3 at Wolves. And Belgian football expert Kristof Terreur, who has covered Dembele’s career closely, revealed that the injuries were at the forefront of his decision to leave. “He turns 32 [in the summer], has 6 months left on his contract, has over 50 (minor) injuries logged over the last 8 seasons and already admitted that his body has difficulties to cope with the physical demands of the PL. Wanted a less demanding league,” the Belgian journalist wrote. Dembele never quite hit the heights that many thought he would when he moved to Spurs, altjough Terreur added: “Overrated or just a player that you enjoy watching? The eternal discussion. 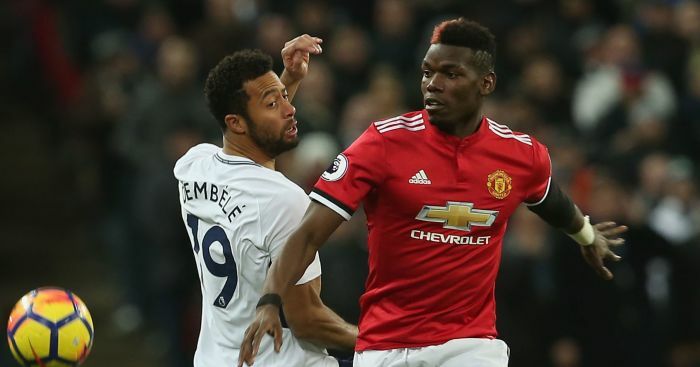 The post Main reason revealed why Mousa Dembele chose China move appeared first on teamtalk.com.